I was one the road this morning before 7:00 to get to a liquidation estate sale. I was at the house by 7:10 only to discover I was #35 on the signup list!! DRAT. Almost two hours before the sale even started and I still didn’t make it in the top 20. Admittedly this is a weird prayer. Kinda selfish. Should I even be praying like that? I don’t know. In the end the prayer calmed me down and helped me realize if I’m supposed to find something, I will. And if not, no problem. No need to stew! Or fret. Or worry about unscrupulous and rude pickers. I got out of my car at 8:15 to stretch my legs and saw my picking friend Diane (who is a wonderful kindred spirt) and we chatted till we had to line up for the 9:00 opening. I got let in the house in the second wave of people (about 5 minutes after it opened) and, alas, most of the rooms were fairly empty and I wasn’t finding much to buy. A cute ’50s black patent leather purse had too much wear. A nice Norwegian wool sweater was stained in several places. Books were not appealing or too high up to reach! I guess it wasn’t my day to find anything special. But I hadn’t made it to the other side of the house yet so I headed in that direction. And there it was. On a bed. 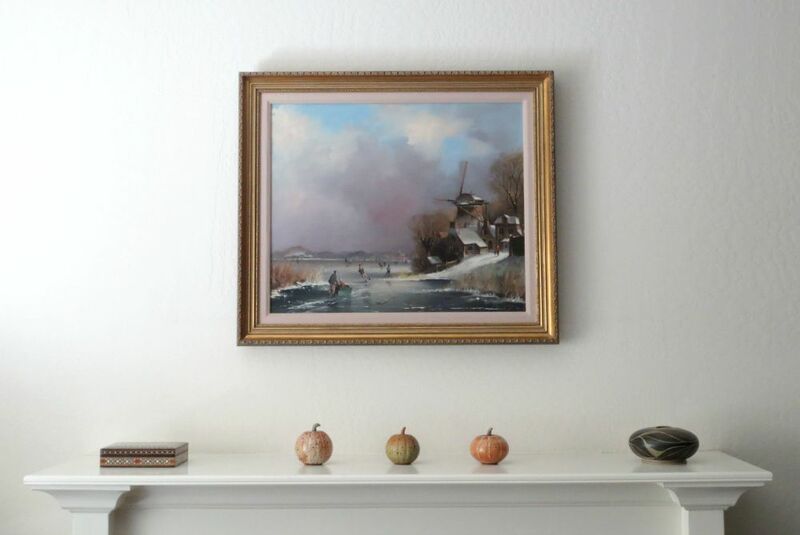 A painting. 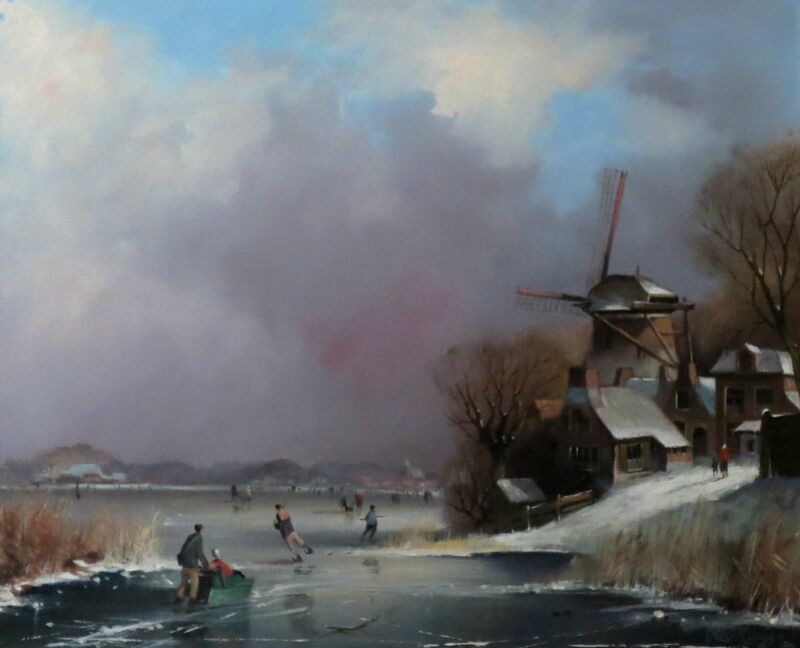 A big, beautiful, signed painting of a Dutch scene in winter. Dozens of people had been in and out of this room, but the painting had been ignored. In my mind, this beauty had neon arrows pointing to it!! And did I get divine help on this pick? Hmmm…I’ll be thinking about the answer to that for a while! Love the painting! I think it was divine help. love the painting! is there a signature anywhere? I think it was meant for you to buy…..